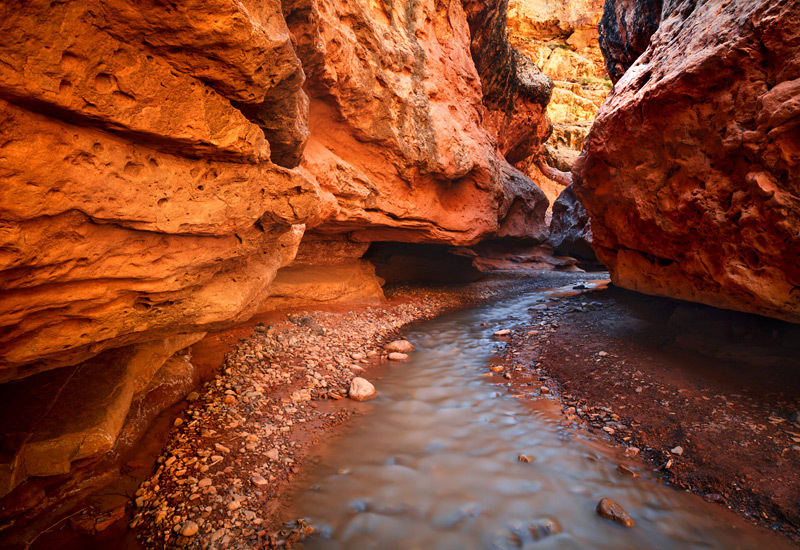 An incredible palette of sandstone colors deep in a remote slot canyon in Central Utah. A 20 second exposure was needed to capture these colors in the middle of the afternoon. Photo © copyright by Michael Greene.